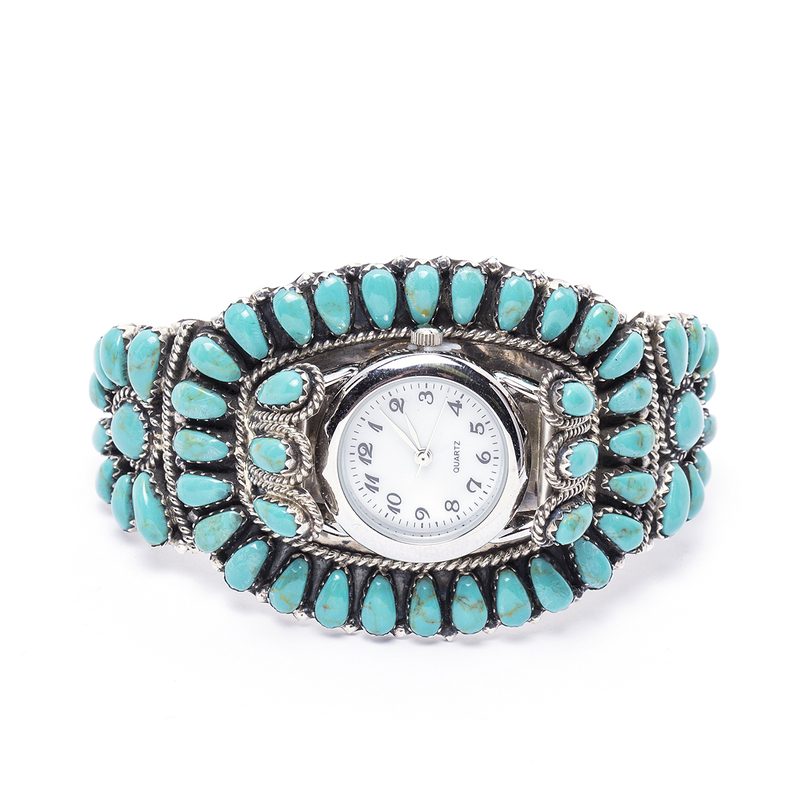 This Cluster Turquoise Ladies’ Watch Bracelet by Navajo artist Juliana Williams will keep you on time and in style. 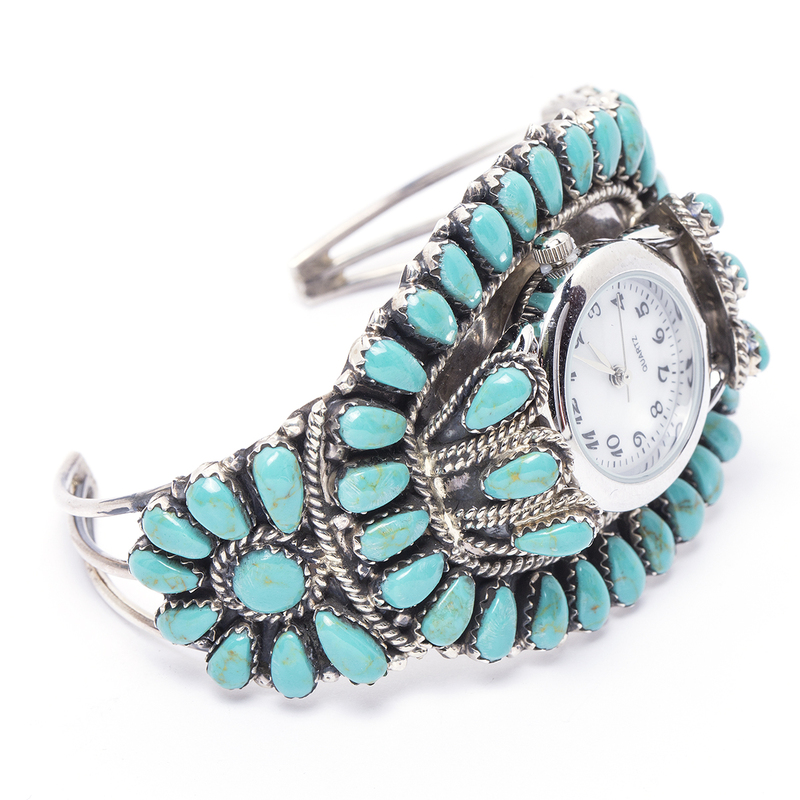 This classic traditional look will compliment your other turquoise jewelry. A basic quartz battery watch is included. We can adjust the bracelet’s size. 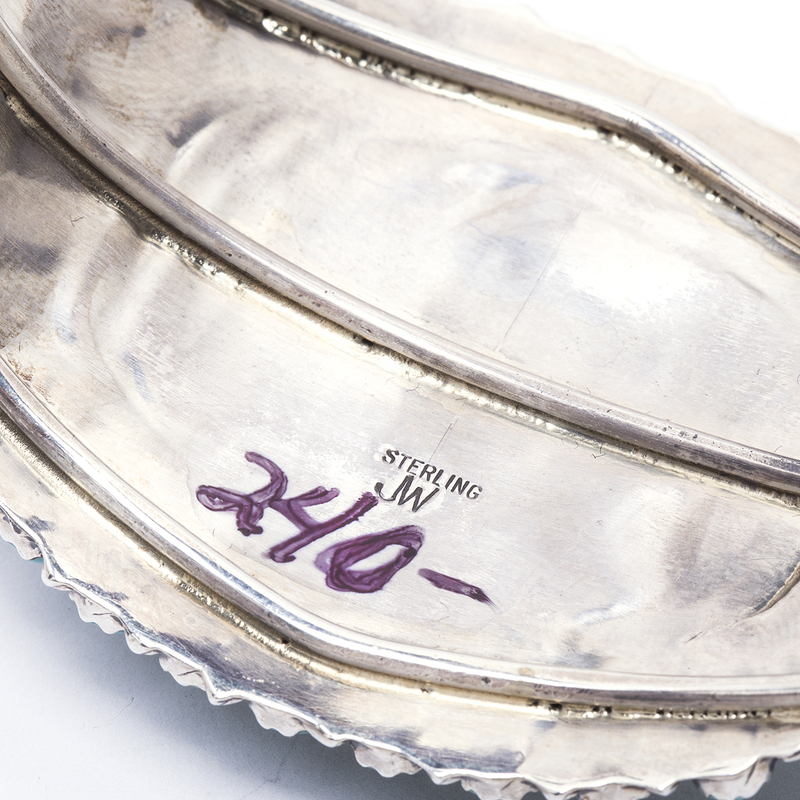 It is hallmarked “JW” and “Sterling”. We also offer free gift wrapping with each purchase – just ask! 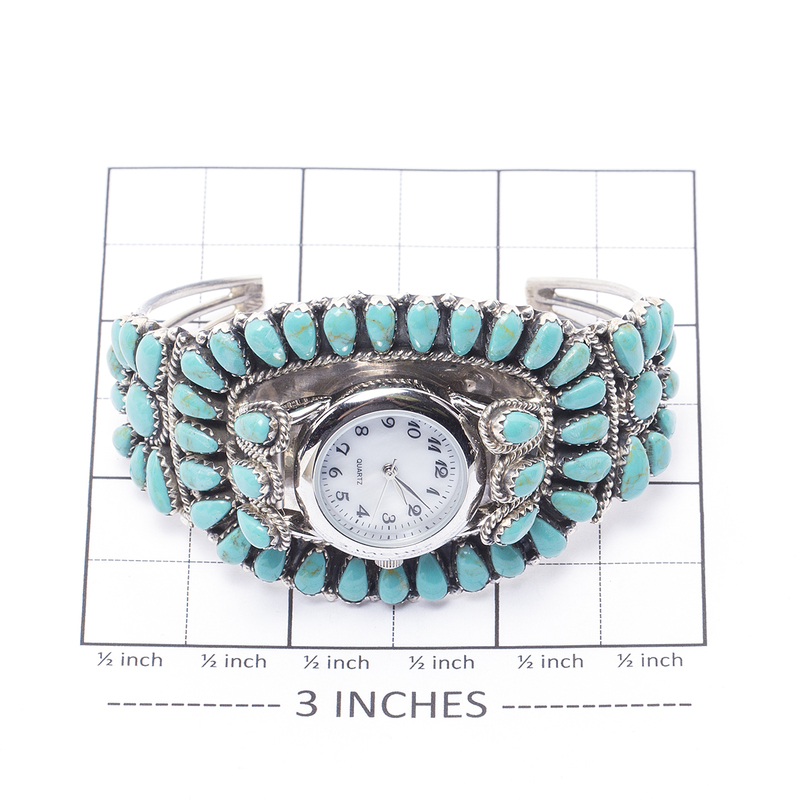 Navajo Juliana Williams Turquoise Watch Bracelet features brilliant bright sky blue Turquoise creating a magnificent piece of Southwestern fashion.